The second most popular casino game right behind slots shares some similarities, but adds an element of skill. In some cases, a very high return to player (or at least the theoretical return) is another reason why Video Poker is gaining new fans. But how did it all start? Who came up with the excellent idea to combine the skill element of 5 Card Draw Poker and a slot machine? The history of Video Poker is closely related and connected to the history of slot machines. Be sure to read our article about slot machines to better understand how it all started and the connection between Video Poker and slot games. The ancestors of the first draw poker machines were poker slot machines that were based purely on luck, with no option to hold or draw any of the dealt cards. They included 5 reels which were spinning, just like a slot machine, and when they stopped, the random cards formed a poker hand. The first poker machine was created when the draw feature was introduced. All of a sudden, it was not purely a matter of luck anymore. Players could actually affect the outcome of the game to some degree. 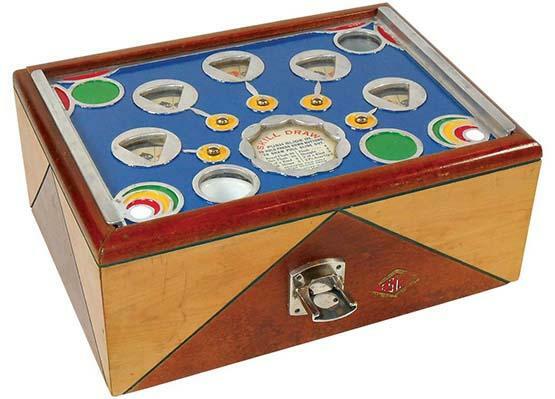 The first poker machine was called "Skill Draw". It included the draw feature, and was created by Charles Fey in 1901. The initial spin of the 5 reel machine created a poker hand, and then the player could hold some of the cards and spin the remaining reels again to complete the poker hand. The first poker machines included only 50 cards, in most cases the Jack of hearts and Ten of spades excluded. That meant that players could hit the Royal Flush in two suits only, halving the probability of hitting a Royal Flush. The first Video Poker machine called Poker-Matic was introduced in 1970 by Dale Electronics Corporation, as soon as it was able to combine a television monitor with a central processing unit. Its screen was similar to television screens back then. Even though the machine was installed across all the casinos in Las Vegas, it didn't become popular. People back in the 70s just wouldn’t trust electronic gambling machines without being able to see the reels spinning. Later, in the mid 70s, the father of Video Poker, William "Si" Redd (1911-2003), whose Bally Distributing Company was acting as a game distributor for Bally Gaming, presented the company executives with a new invention, a game called Video Poker. However, they did not want to move away from slot machines, and let him keep the patent. Si Redd quickly struck a deal with Reno based Fortune Coin Company to form Sircoma (Si Redds Coin Machines), which started the mass production of Video Poker machines, and, by 1979, a new Video Poker machine called Draw Poker was distributed across US casinos. In 1980, the company went public and changed its name to now worldwide renowned International Game Technology (IGT). Wide variety of betting options - Players could play for lower limits and bet just one coin. Availability - Video Poker has become available in not just casinos, but also in bars, airport, bus stations, cafes and strip clubs. Higher payout & lower variance – The first variation of the game was called Draw Poker, and the lowest paid hand was 2 pairs. It was decreased to a pair of Jacks, and thus Jacks or Better Video Poker was born. Screen & draw feature – The game offered similar interaction with the game as table games, without any of the intimidation. 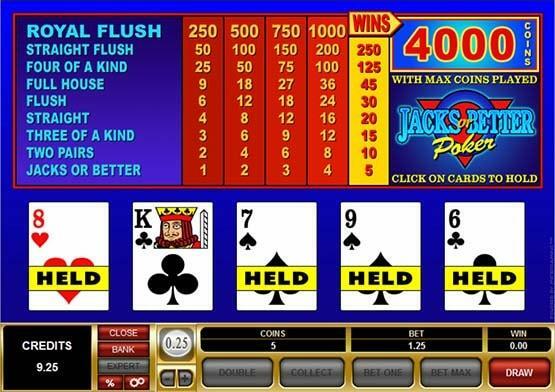 Later on, with the addition of touchscreen and more Video Poker games like Deuces Wild and Double Bonus being created, the popularity of Video Poker grew even more significantly. Now, you can find them everywhere in Las Vegas, as one of the most popular games in land based casinos. 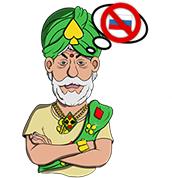 Si Redd was also behind the launch of the most popular Las Vegas progressive jackpot game, Megabucks. 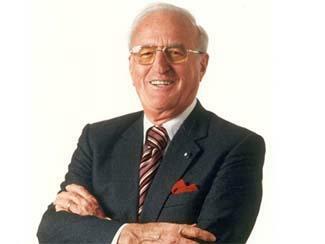 Launched in 1986, this helped make him one of the most influential people in modern gambling. The first online Video Poker game was developed by popular casino game provider Microgaming in 1994. New games and features were gradually added, and now online Video Poker offers even more game variety, with more betting options available. Players can even play progressive Video Poker games with big jackpots. Nowadays, you can play Video Poker games at train stations, bars and airports. You can also play them from the comfort of your own home, or on the go on your mobile phone or tablet. Video Poker has become one of the most popular and frequently played casino games. Players can choose from hundreds of available variations, including multi-hand Video Poker and other creative titles. However, a very interesting fact is that the original Si Redd’s Jacks or Better Video Poker game is still the most popular Video Poker variation today. How to play Video Poker for free & win money? Another great advantage of the modern Video Poker games online is the opportunity to try them out for free, and even to win some real money thanks to no deposit bonuses. Pick one from our reviewed casinos with no deposit bonuses for Video Poker. Even though some Video Poker games online feature a theoretical return (return to player – RTP) as high as 99.95%, there is a reason why it’s called a theoretical return. In order to reach the figure declared by the theoretical return of a particular Video Poker game, you have to follow the perfect strategy and make sure not to make any mistakes. When you play a slot machine with an RTP 99.5%, that is simply the percentage of wagered money the casino pays to players in winnings. This payout percentage amount is fixed (unless it’s a progressive jackpot slot) and you cannot affect it, as there is no way to affect the outcome of a slot machine spin. It’s 100% a matter of luck. When you play Video Poker, the RTP depends on your skill and strategy. The declared RTP is the highest RTP you can actually reach. In order to reach it, you have to follow the perfect strategy – hold the cards that bring you the highest expected value. Check out our Video Poker strategy article to learn more about basic and optimal strategy.